Change is in the eyes of the beholder. Phillip, one of our amazing clients, is the utmost example of that. Ten years ago, Phillip shifted from his friend-filled and athletic life into a realm of insecurities that resulted in substance abuse and years of pain. His actions caused him to question who he was, live in denial and a few stints of incarceration. He faced a constant fear of becoming a failure in his own eyes, but he wasn’t giving up yet. If you haven’t met Phillip at the studio, you’re missing out. His infectious, positive spirit and passion for LOVE shines through to the whole staff and community. Phillip, a good friend of Bryan, has been coming to LOVE since last December. Now that he’s a regular at the studio, we have had the chance to hear his incredible story. In the midst of some very hard times, cycling at LOVE helped Phillip gain confidence and feel like the best version of himself. After years of struggling with substance abuse and some low points in his life, Phillip rekindled his old friendship with Bryan, one of our great instructors. Phillip was a decorated long-distance runner in high school and always had a knack for sports and lifting. When Phillip moved back to Austin in March 2016, things were starting to look up. However, he was still struggling to balance work, fitness and repairing his past relationships. Bryan reentered Phillip’s life with perfect timing and invited Phillip to a cycling class at LOVE. Phillip took a chance and accepted the invitation. “The first class was one of the most difficult workouts I had ever taken on. It forced me to use some muscles and coordination that I had not used in many years, but I loved that I had been challenged and it lit a fire in me”. Phillip started coming more often and noticed his results on the bike. From there, results turned into pure confidence that Phillip hadn’t felt in years. Instead of dwelling on his past, Phillip is excited about the future and grateful for the present moment. A better mindset would be hard to find. Even though the bikes at LOVE are stationary, they can take you a long way. 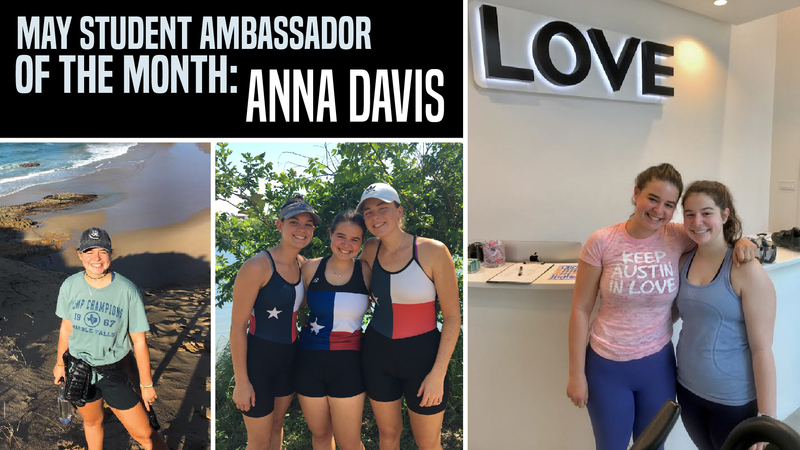 Meet Student Ambassador Anna Davis, whose excellence in academics, passion for fitness, devotion to the community, and commitment to helping others emulates LOVE’s message of balance, service, and community. LOVE Cycling Studio prides itself on its Student Ambassadors, who not only excel on the bike, but also academically and through their involvement in the community. What does this balanced lifestyle look like? 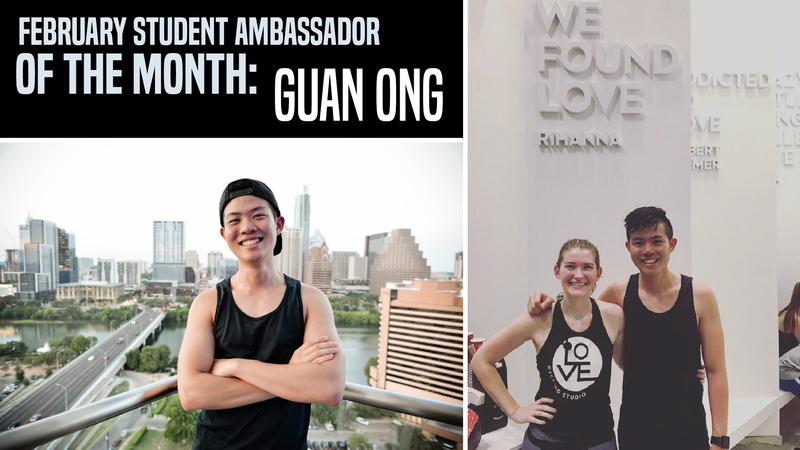 Meet Guan Ong, Junior at the University of Texas at Austin and February Student Ambassador of the Month. We’re grateful to have such a strong and supportive community at LOVE, that continuously impacts us with her positive energy and genuinely kind nature is Jena Ehlinger. 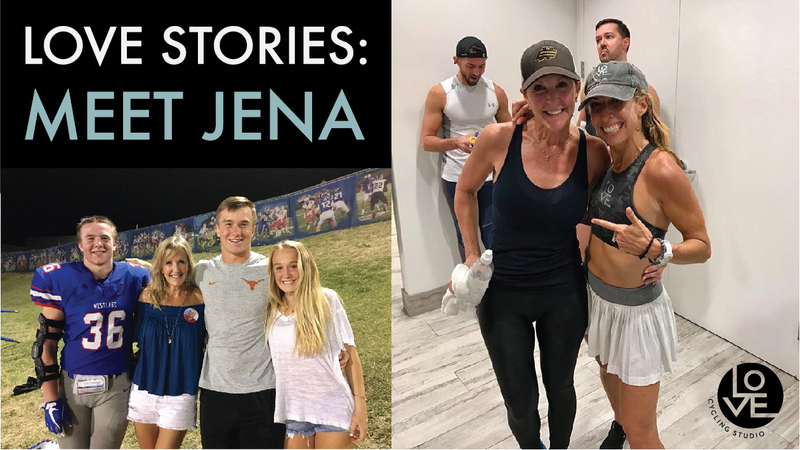 Her story of tragedy and strength is admirable and we love that we get to be a positive force in Jena's journey. 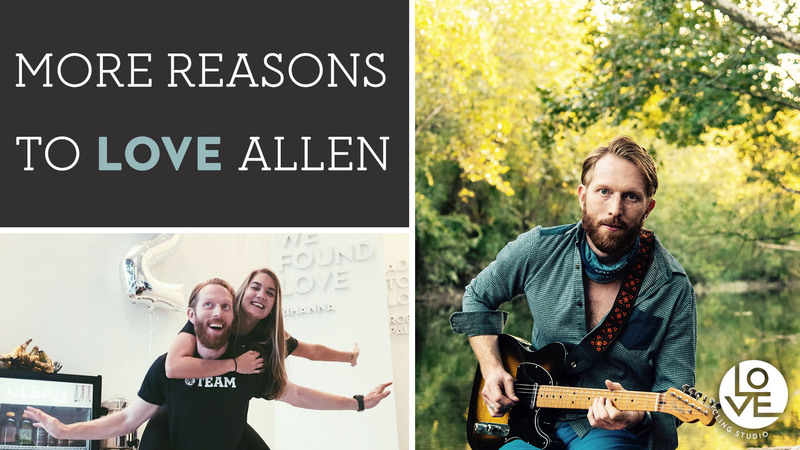 Allen is well-known in the studio for his kind, helpful attitude, but you might not have known he's big in Austin's music scene too! He strives to promote a positive reaction both in exercise and music. Located on the ground level of the Pressler Apartments. Park free in the building garage. Enter from the 5th street sidewalk. Sweat out what stresses you. Tap into what's inside you. Enjoy more of what life offers you.